We’re all unique, which means that no one will have exactly the same dental needs. To ensure that he can help you regardless of your situation, Dr. Tillman offers comprehensive dental care. 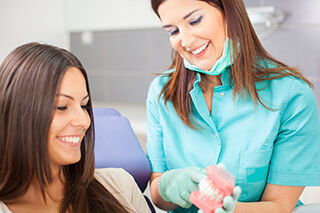 Whether you need a minor service, like a dental cleaning or a filling, or a more advanced service, like a root canal or dental implants, our Fort Worth team is equipped to help you with modern, personalized service. Whether you want to improve a "gummy smile" or need to treat gum disease, Dr. Tillman can address your needs. Gum disease is one of the most prevalent oral health problems, and if left untreated can have an impact on both your oral health and your overall wellbeing. 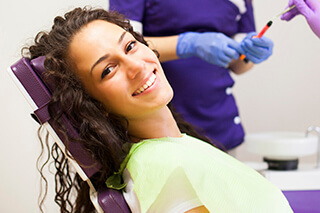 Through gum disease therapy, we can help you manage your symptoms and reclaim your oral health. The specifics of your treatment will depend on the severity of your symptoms and your dental history. 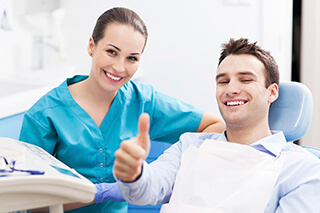 As your oral health partners, we will find the treatment plan that is right for you. In every case, Dr.Tillman will explain your options and all the procedures before hand. In every case, Dr. Tillman will explain the procedure beforehand and answer any questions. On the day of the procedure, he will completely numb the extraction site before using his modern tools to safely and comfortably remove your tooth. Often times patients are apprehensive before an extraction. But we can sedate you to make the procedure relaxing. Most times patients rest and sleep through their appointment and even don’t remember the visit. Dr. Tillman can even extract a tooth or teeth and place an implant, the tooth’s replacement, at the same visit if needed. Is an infected tooth causing you to experience painful symptoms, like an unusual sensitivity to hot or cold foods? Dr. Tillman can treat your symptoms and save your tooth with a root canal. During treatment, he will remove the infected material from inside your tooth, clean it, and seal it with a custom-made crown. Your crown will restore your tooth’s functionality and appearance so you can enjoy good oral health and wellbeing again. Most times Dr. Tillman can complete the root canal in 1 visit, usually in less than 1.5 hours. Wisdom teeth often need to be removed due to inadequate room, an inability to keep them clean, or decay. If needed, and usually with laughing gas and sedation, Dr. Tillman can remove them. 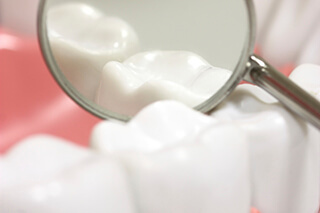 A crown is a cosmetic and restorative service our Fort Worth office uses to improve the strength, shape, and functionality of a decayed, broken, or worn tooth. Your crown will be designed to complement your appearance and will be attached to your tooth in a routine procedure at Dr. Tillman’s office. With your completed crown in place, you can look forward to a healthier smile and long-lasting results. If you have a limited time and just want to get everything done at once, Dr. Tillman can fabricate a same-day Cerec crown with technology that less than 10% of dentists use to get you out quickly with your new beautiful crown cemented and ready to use. Are you ready to experience exceptional dental care? Call our office to schedule your next appointment with Dr. Tillman. Our office provides quality general, cosmetic, and restorative dental care to Fort Worth, Aledo, and all surrounding communities.